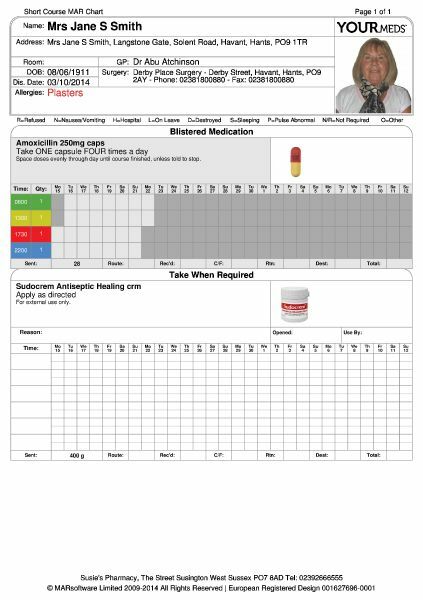 YOURmeds MAR is an intuitive labelling and charting solution with a built-in reordering function. 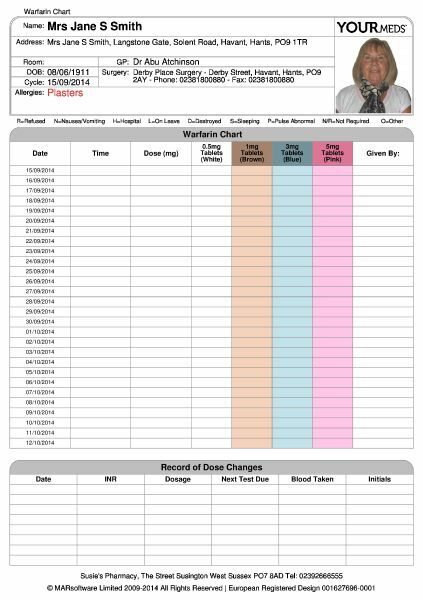 It generates a unique suite of labels and charts with photo recognition and colour coded time passes to ensure improved recording and compliance. 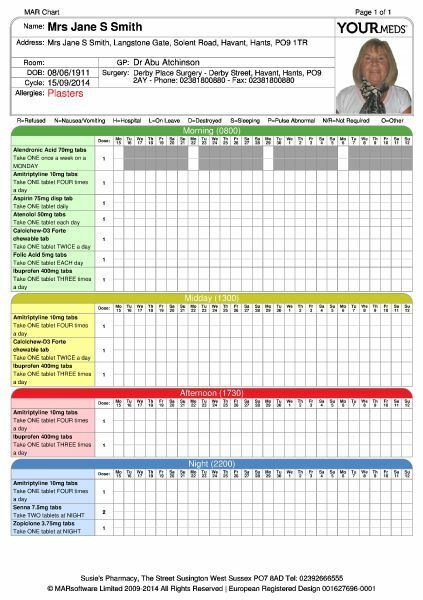 Would you like to improve or maintain your CQC rating? 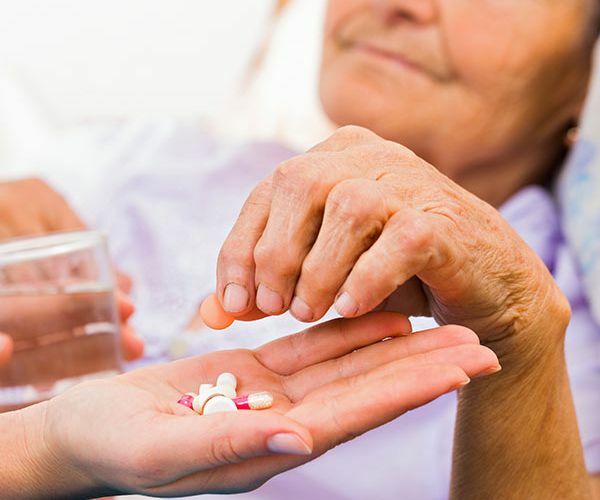 Stronger Medication Policies are an integral part of a CQC inspection and include accurate record keeping, administration and safety. 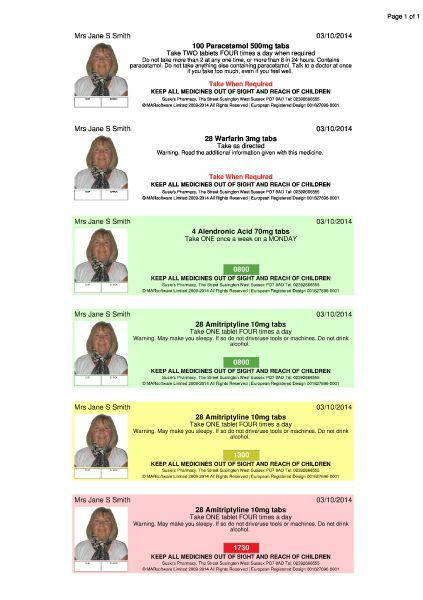 YOURmeds MAR is the market leading software for Care – it is the premium patient labelling and record keeping service. Over 80% of Care Providers using it are rated Good or Better by CQC (October 2017). 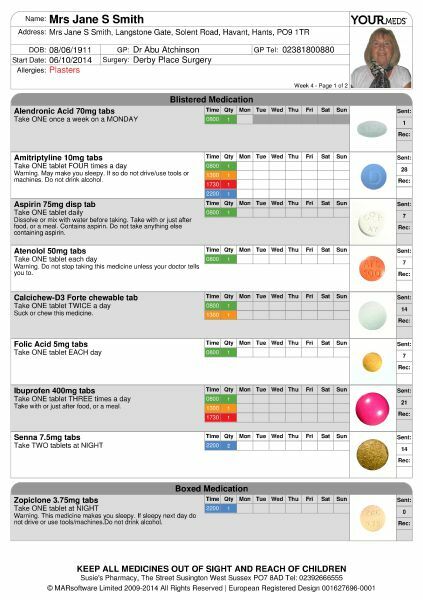 YOURmeds MAR dynamically generates a unique and extensive suite of user-friendly labels, charts and reports. 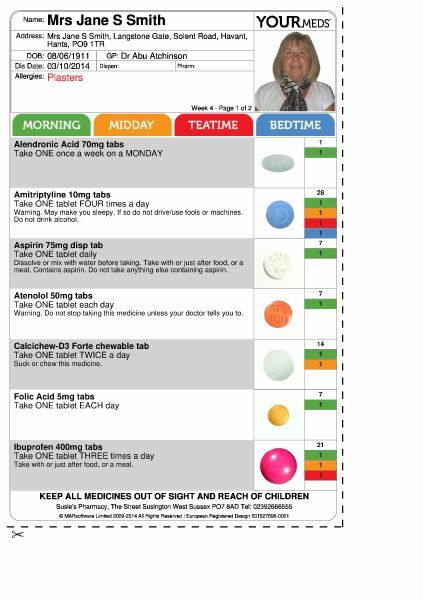 Each report clearly identifies the service user, drug, dose and the time by photo and colour coded time passes. 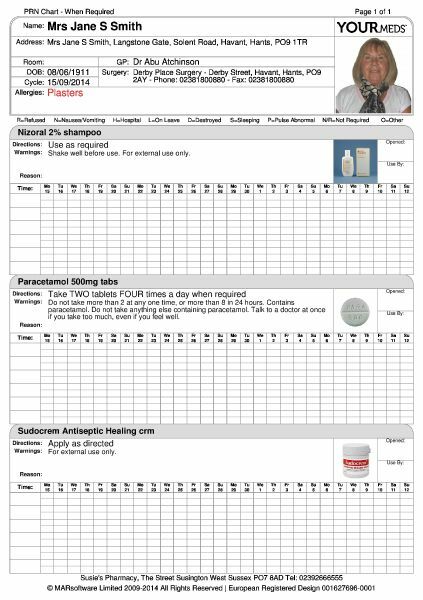 You can also request a custom built report, chart or label (price on application). 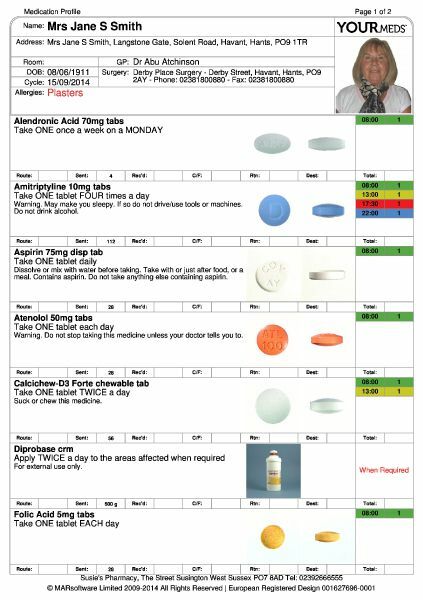 YOURmeds is compatible with any patient packaging you might use. 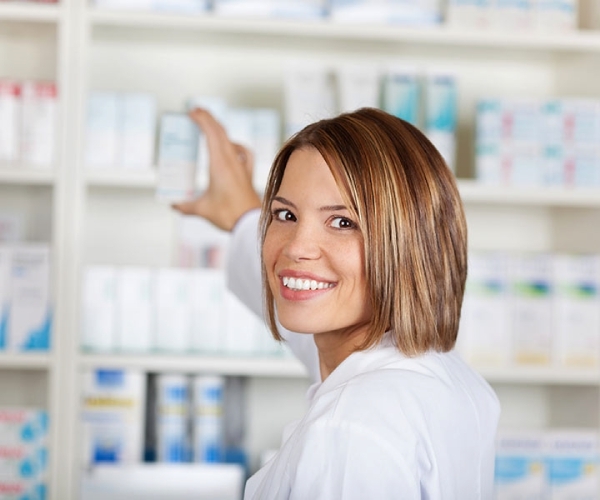 Using YOURmeds MAR within your pharmacy will allow you to gain new and retain existing clients giving your pharmacy an unparalleled competitive advantage within your area. YOURmeds MAR and the ground breaking YOURmeds patient experience.